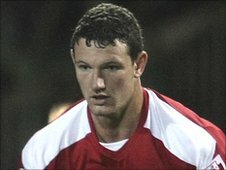 Reading have signed Swindon Town defender Sean Morrison and Eastleigh striker Brett Williams. Morrison, 20, moves to the Madejski Stadium for £250,000, having agreed a three-and-a-half year contract. Williams, 23, joins for a fee of £50,000 and has agreed an 18-month contract with the Championship club. Brian McDermott told BBC Berkshire: "We're looking for players who are young and hungry, and we have two here who meet this criteria." He added: "This has been ongoing for a period of time now, and we're delighted to finally seal the deals." Morrison, who was a target for Newcastle, Sunderland and QPR, opted to join Reading despite being the subject of a last-minute offer from another Championship club. "It was an easy decision (to join Reading), even after I got that call to try and change my decision to come here," he said. "Knowing what direction Reading want to go in, and the kind of club they are, it was an easy decision." Former Winchester City and AFC Totton man Williams, who has scored eight goals in the Blue Square Bet Premier for Eastleigh this season, has been training with Reading for the past week. "I played in the reserves, then the manager told me he wanted to sign me. I'm glad it's all done now," he said. "Everyone around the club made me feel very welcome and when Brian McDermott spoke to me in person it was a no-brainer to sign."